Ben Brode – misguided Mike’s Pastry fan, and loudest person I’ve ever met, and game director of Hearthstone, has just announced his departure from Blizzard after a 15-year tenure. We had the genuine pleasure of interviewing Ben (and skewering his selection of where to acquire cannolis in Boston’s historic North End) for Not Another Gaming Podcast’s most recent episode, which you can check out below (interview starts at around 33:30). Brode, who announced that he is leaving Blizzard for a new project, is easily one of the coolest people I’ve ever had the pleasure of meeting, inside or outside of the gaming industry. 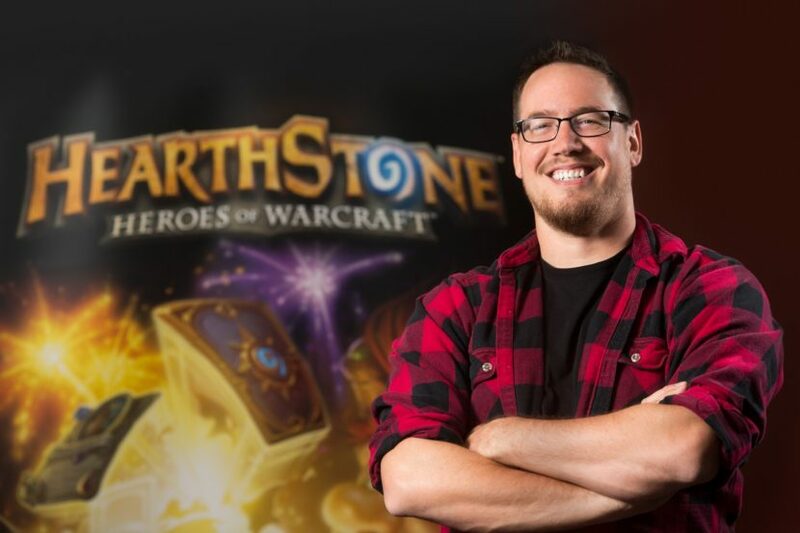 The flannel-wearing, “well met”-yelling, stage-dominating face of Blizzard’s card juggernaut will leave a gaping vacuum in his wake (and in my heart), and I’m eager to see who Blizzard selects to fill the (literal) huge boots Ben Brode has left behind. As someone who’s been a big fan of Hearthstone from the jump, I’m absolutely torn up over the fact that Ben Brode is departing from Blizzard. That being said, I’m excited to see where he goes from here, and look forward to hopefully meeting again once his new project is announced. Well met, Ben – we here at WGG wish you the best, and can’t wait to see what you do next.